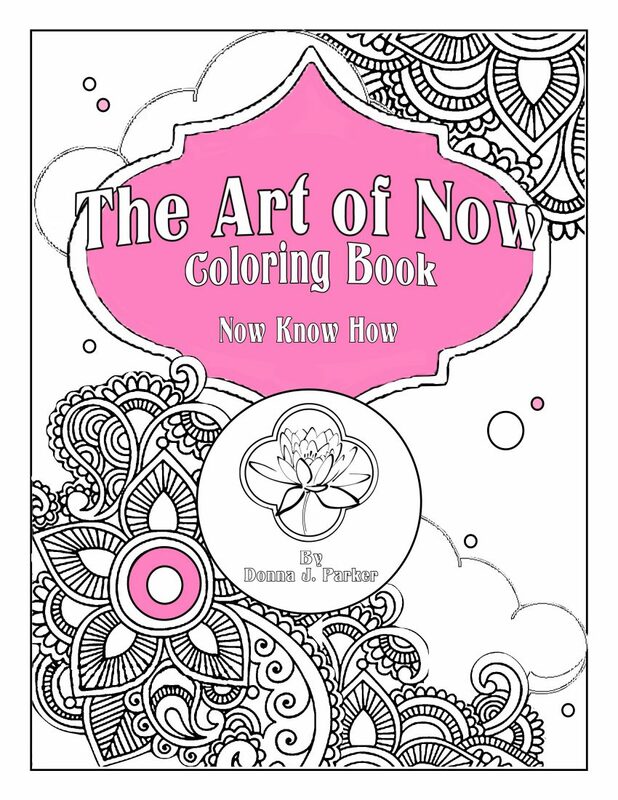 Last year I Illustrated a children’s book “Color Me Purple” by Ellie Schatz and created my first adult coloring book “The Art of Now Coloring Book”. I did this while working on a few graphic design projects (my bread and butter that makes everything else possible). I felt happy, humbled and even proud of my accomplishments. Near the beginning of December, my intuition, my spirit said, “I should take the month of December off”. What? How could I? Holidays are supposed to be the peak marketing time. I need to post, I need to blog, I need to….? It was a strong message and I should have listened because by mid-December I had the flu. Next, I had car problems that prevented me from going any where for a few days. By now my stress is on high and throw in the holidays, which is when caught a cold that turned into pneumonia. Needless to say I was not able to do much for most of December into January. Really? Now, I was really behind on projects, marketing my new coloring book, making money, and so on. How would I ever get back on track? Notice I did not mention time for myself or others. Not only was I sick, I was also worried, irritable and angry most of the time. Let me mention I believe illness is caused by some type of issue or problem you are not dealing with and this is your body’s way of giving you time to think about it. As I was laying there sick, I had many thoughts, feelings and insights — the biggest of which had to do with my own obsession with controlling things, and my deep desire and fear about letting go. This self knowledge surprised me. You know, I meditate, use affirmations, express my gratitude and I felt I was in the process of creating a life and life-style outside of my comfort zone. How could this be? I realized that I was doing non-traditional things in a traditional way. Being sick turned out to be an awful, but profound experience. I realized/learned that when you try to control too much, you enjoy too little. Sometimes you just need to let go, relax, take a deep breath and love what is. The use of control is paradoxical: we believe taking control will bring us security and happiness, yet its overuse causes unhappiness, anxiety, and malaise. Control and Faith. According to studies about happiness, people who consider themselves religious or spiritual suffer less drug abuse, suicide, and an overall higher rating of well-being. People who have faith are found to be happier; they think that things happen for a reason, that things will work out as they are supposed to, that a higher power is acting on their behalf. If you believe things will work out, there is less need to worry or hold onto a pessimistic view to protect you. If you believe things are as they are supposed to be, and that there is meaning in seemingly negative events, you will be happier. Control & Psychology. Behavioral psychology purports that every behavior or action has a reward. In the case of worrying, the reward is to foresee a problem and take action. Unfortunately worrying continues even when no action is possible. Worry then becomes an attempt to control, or a wish to control, what is uncontrollable. Fear – We worry that things will not turn out, we will get hurt, bad things will happen, etc. Unworthiness – We don’t feel as though we deserve support, help, or for things to go our way. Lack of trust – We are afraid to let go, count on others, and to believe that things will be okay without us managing every aspect of the situation, relationship, conversation, etc. What does being controlling cost us? There is a huge cost associated with being controlling. There is a negative impact is not only on us and our well-being, but also on those we love, the people we work with, and everyone around us. Remind yourself — Striving toward letting go by simply reminding yourself occasionally that the present is what it is, that everything does not have to conform to your desires, to live and let live, will contribute to more happiness. Be honest with yourself — Make an authentic assessment about your own controlling nature. It probably varies a bit for you (as it does for most of us), but at the same time we all have certain tendencies, especially in the most important and stressful areas of our lives. Take a look at where, how and why you hold on tight to control in whatever way you do. And, be real with yourself about what this costs and how it impacts you and those around you. Ask yourself, “Am I willing to let go of control?” — This is an important question to ponder and to answer honestly. In some cases and in certain situations, the answer to this question may be “no.” It is important to honor that if that is the case for you. However, the more willing you are to ask and answer this question, the more likely you are to start letting go of control consciously. Surrender — Surrendering does not mean giving up or not caring, it means trusting and allowing things to be taken care of by others, by the process and by the Universe or by God. Surrendering is about consciously choosing to trust and have faith. It is something that can liberate us in a profound way and is all about us choosing to let go. Letting go of control is about loosening your grip, allowing yourself be supported and trusting that things will turn out as they are meant to. Is this easy? Not always, although it can be. However, as we practice this and expand our capacity to let go, we will be able to release and transform a good amount of unnecessary stress, worry, and anxiety from our lives, our work and our relationships.